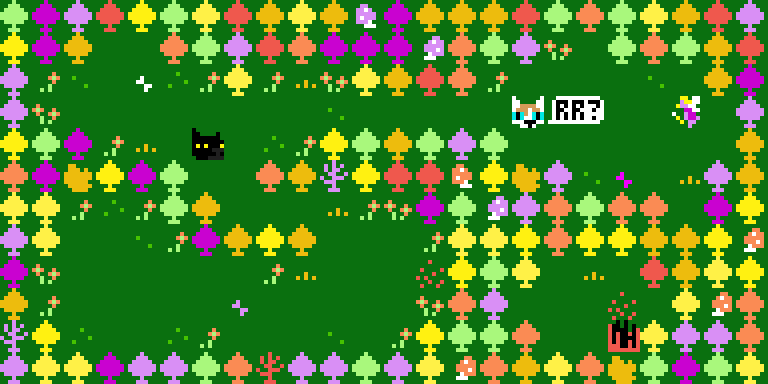 Encyclopedia Frown and the Kitten go on an adventure in some very strange woods. You are two cats! Use the arrow keys to move yourselves around. Meet some strange characters! Grow some flowers! Eat a butterfly! Chase a fairy! Nothing bad happens in this gentle little game. 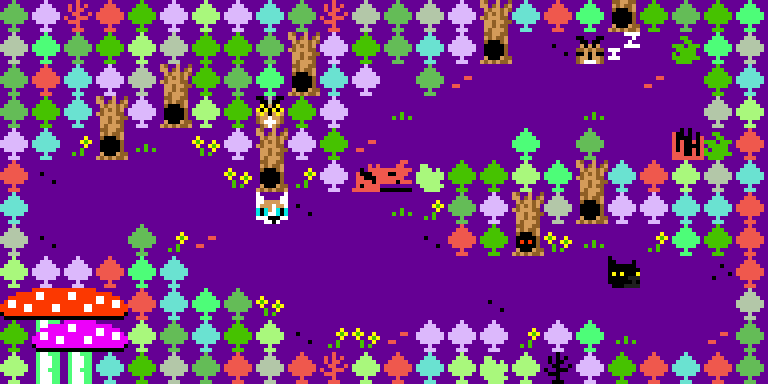 Gay Cats Go to the Weird Weird Woods is available in ORIGINAL, AUTUMN and WINTER flavors.